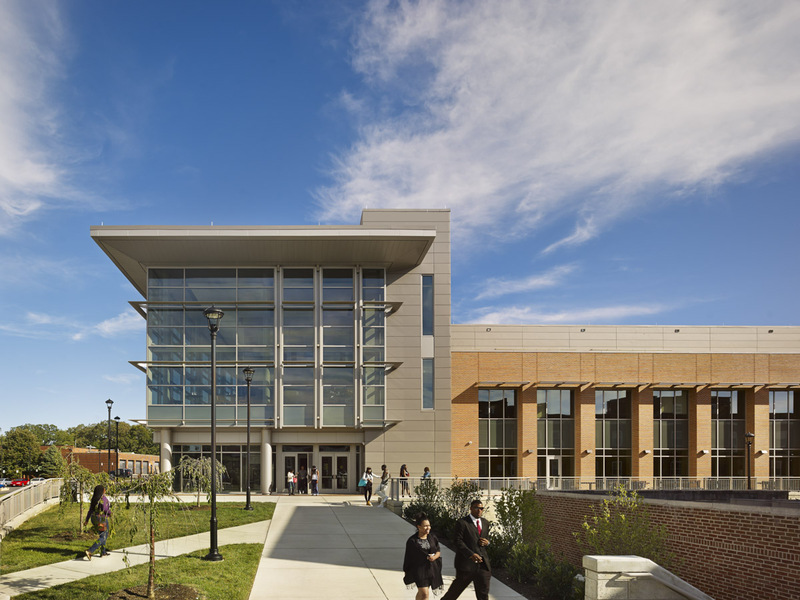 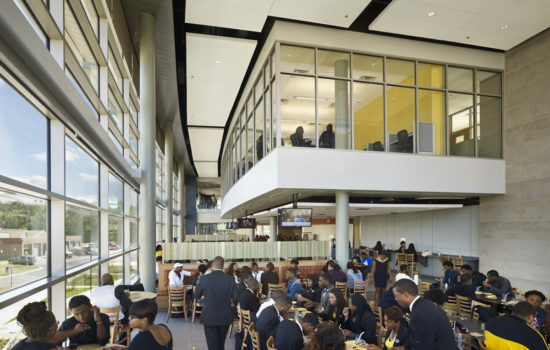 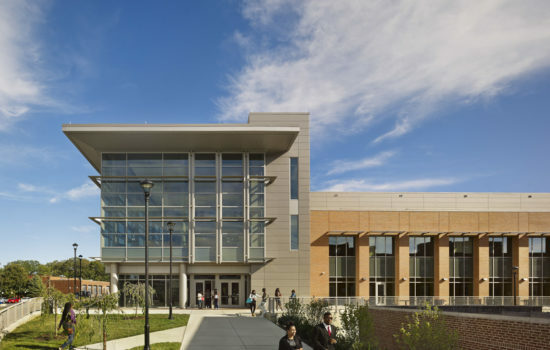 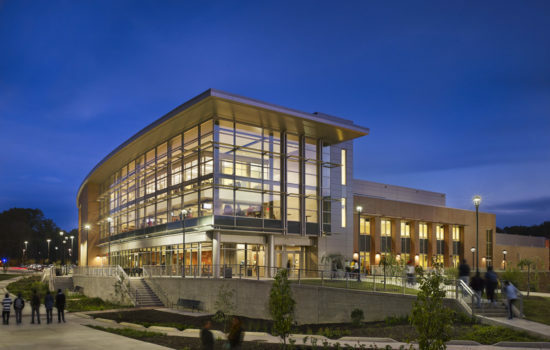 As a growing Historically Black College and University campus, Bowie State University desired a new campus connector for student life. 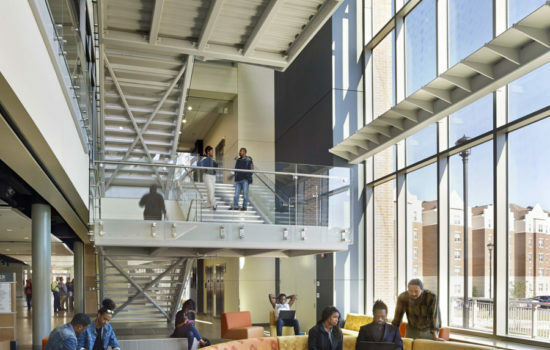 The new Student Center enhances the student experience by providing a series of dynamic, student-centered spaces that create a true campus destination. 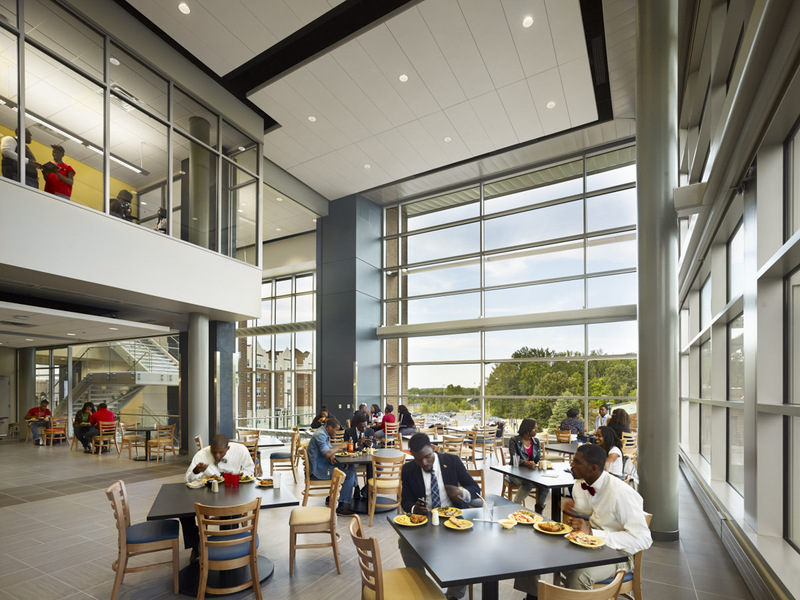 Designed as a hub of campus activity, the Student Center offers active spaces for students to gather, work, eat, relax and play. 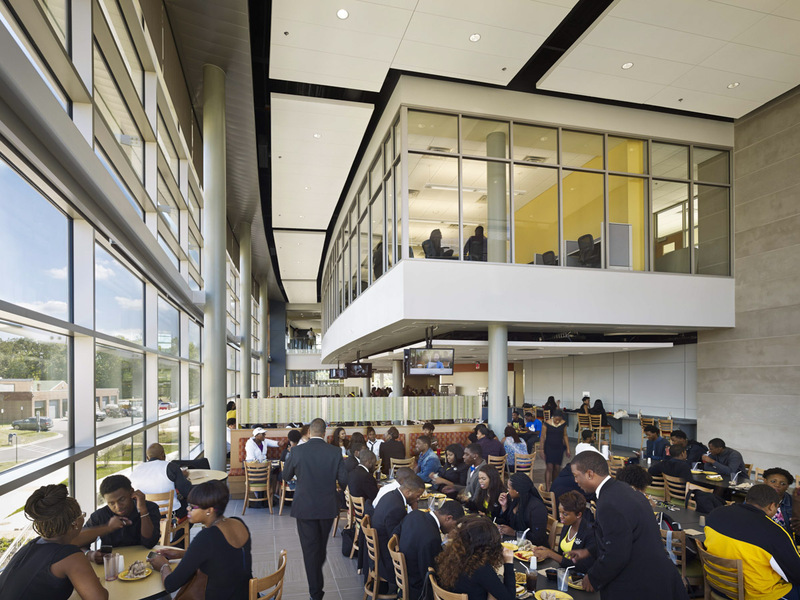 The center provides the meal-plan dining hall as well as retail dining options, bookstore, game room, movie theater, and a variety of student group and lounge spaces. 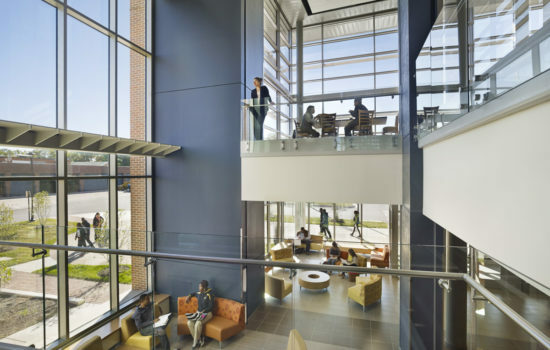 A sequence of outdoor spaces provide a variety of experiences to encourage interaction with the surrounding landscape. 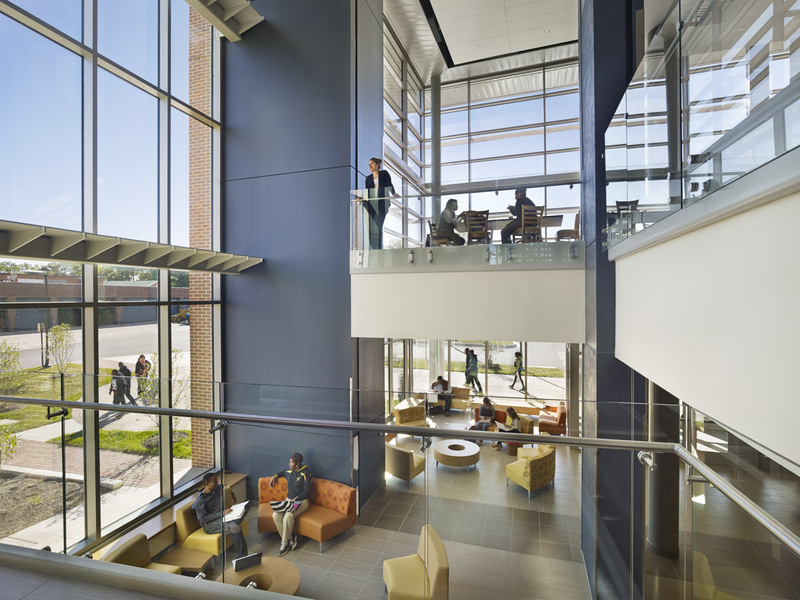 Vertical openness and vast amounts of glass give visitors a constant connection to fellow students, activities and the campus beyond. 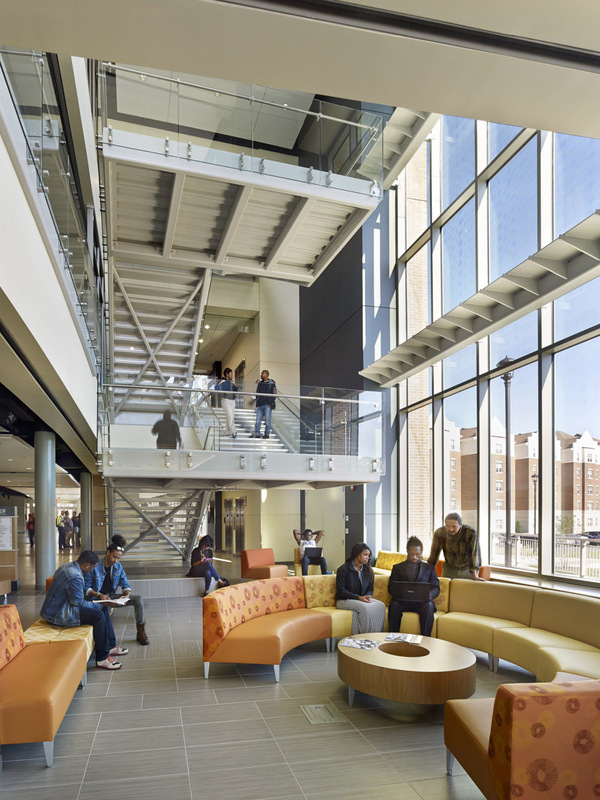 The building fosters a strong sense of place, orientation, and belonging. 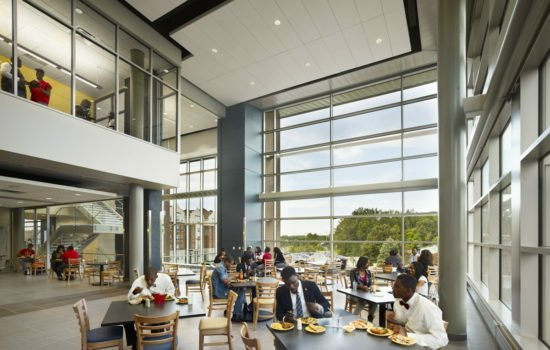 From outside the building, the expansive glass maximizes transparency–showcasing the activities and community within, and inviting students to enter, participate, and engage. 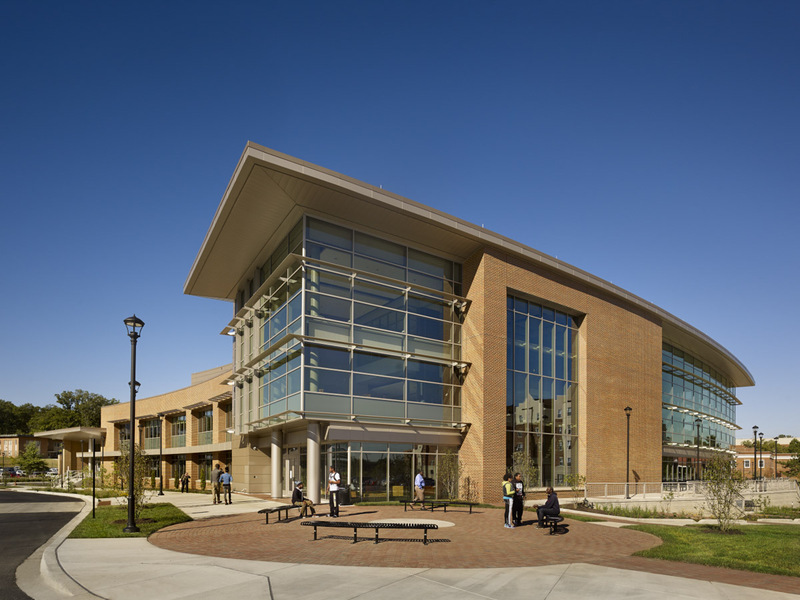 Students were instrumental in creating the vision for the building, hoping that the new Student Center would serve as a social intersection that greets visitors to campus and serves as a social gathering place for students. 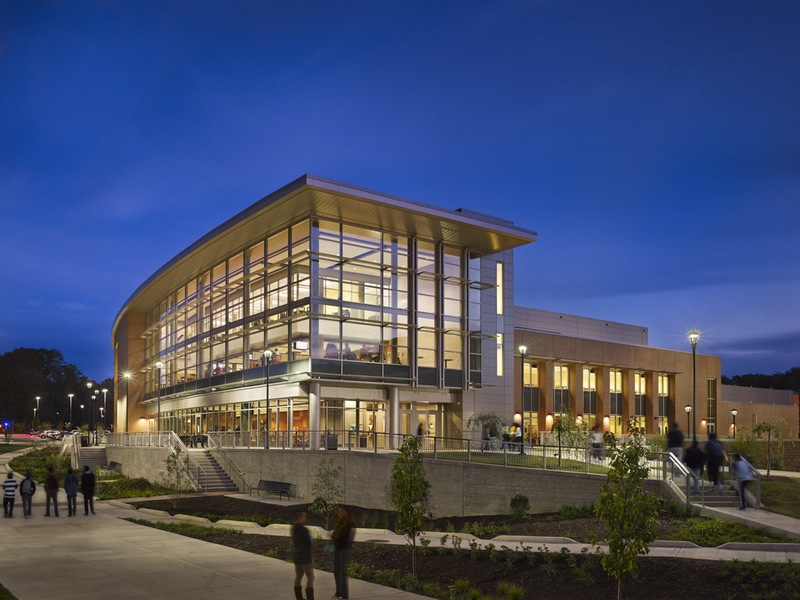 This engagement in design has led to a deep sense of pride in and ownership of the end result. 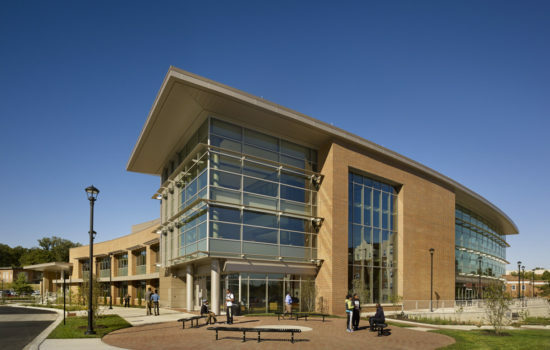 G+P was the executive architect working in collaboration with associate architect WTW Architects.